Lavinia Lidstone has ambition and a mission. Since she was just a tyke in elementary school, Lidstone’s goal was to help people through nutrition. Brewing kombucha, a probiotic herbal elixir, became the best and most effective way Lidstone could think of to aid people suffering from digestive problems. 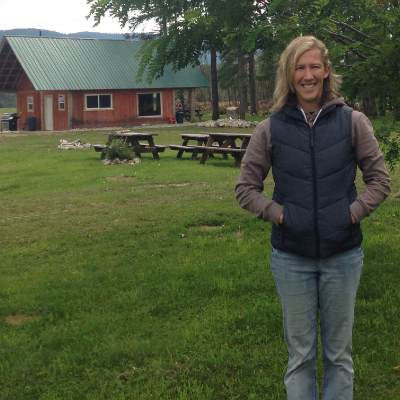 After travelling the world, Lidstone decided the Slocan Valley was the right place to start her business venture. 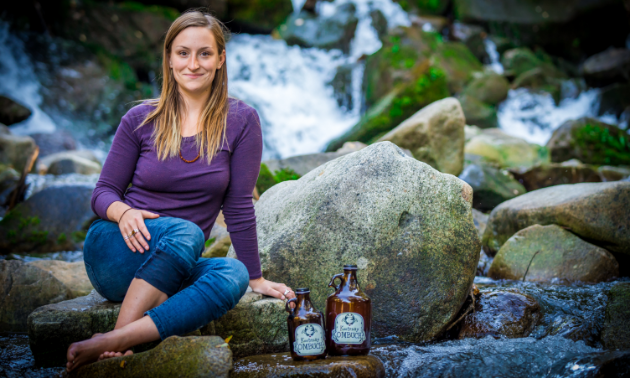 Now, at only 25 years old, this child of the ’90s has established Kootenay Kombucha, a small-batch craft brewery that has been filling growlers for years. 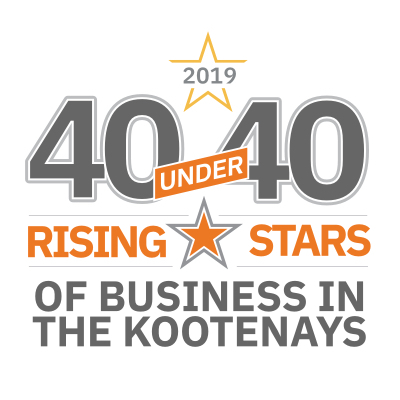 Lidstone shared her thoughts about how young entrepreneurs can make it in the Kootenays. What qualities does a successful business person need in today’s world? You've got to be multi-dimensional and great at switching roles/tasks. Finish this sentence: Entrepreneurs need a lot more ____. Time away from the day to day to innovate and be creative. What’s a common myth or misconception about entrepreneurship? I know many young people believe once you start a business somehow you have it made, and you've immediately become successful, but it takes years to reach big goals and there's a lot of hard work along the way. As an entrepreneur you're the one taking all the risk to see your dreams become reality and that takes a lot of courage and commitment. What makes the Kootenays attractive to an entrepreneur? The sense of community and holistic living here made me feel attracted to the Kootenays before moving here to start Kootenay Kombucha. There is such a strong connection with our food system and our farmers—people really care about the quality of their food, and people care about the quality of their lifestyle as well. There are so many active and healthy people who have figured out how to live great lives here. What trends have you observed in your community that might impact the local economy in the next five years? I really hope in the next five years we continue to bring technology and innovation jobs into our communities. 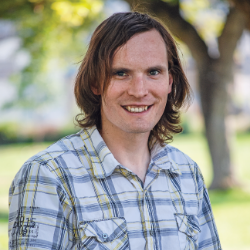 Nelson has a few startup tech businesses and the educated and innovative young people they bring to town are great for the local atmosphere and economy. Those businesses help bring in dollars, people and ideas from outside of the region to contribute here. Kootenay Kombucha, Slocan Valley, B.C. 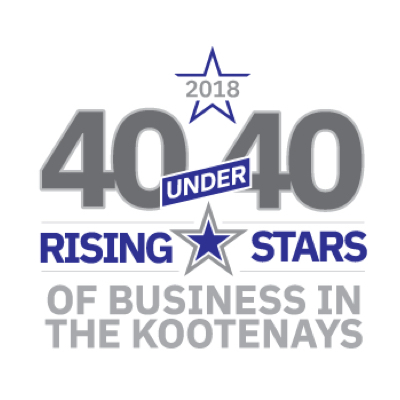 Our fourth annual 40 under 40 list is a salute to some of the leading entrepreneurs in the Kootenays.